Books make for a great way of acquiring new skills - at your own pace, in the comfort of your own private space and without pressure and/or prejudice. That is why I just love self-help books. Dealing with a challenge like fear of public speaking can be daunting. However, with a great book, you will learn all the techniques in the comfort of your own home. "Many Miles to go" by Brian Tracy is a book to read if you crave business and career success. A Modern Parable for Business (290-page hard-cover book) Using his story as a metaphor for all success in business as well as life, Brian Tracy shows you how you can learn from your experience the simple yet essential steps for realizing the greatness within you and the full potential of your business. (One hour CD) The 21 most powerful ideas ever discovered in studying the behaviors of thousands of self-made millionaires. Learn how to go from rags to riches in 21 steps - starting today! 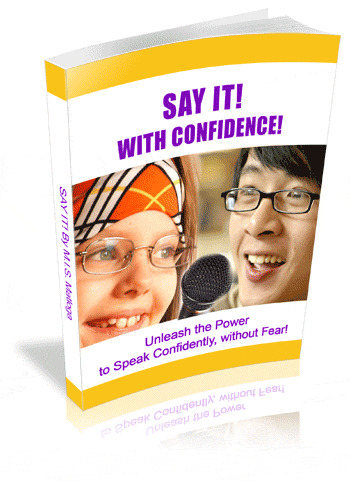 (60-Minute CD) How to sell your ideas, persuade others and get your point across in any situation.In this fast-moving audio program, you learn how to be a better communicator in every area of your life.